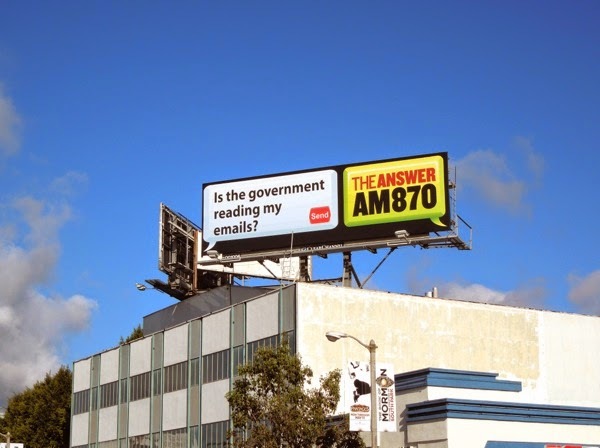 Whatever your politics or religious beliefs, even Daily Billboard can agree these ads for AM 870 The Answer radio station are eye-catching and provocative, preying on the fears of their prospective listeners about the state of the nation. 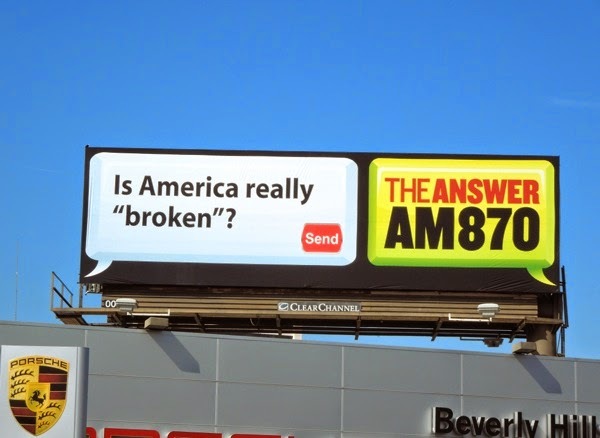 The Conservative and Christian radio station with a news and talk format serving L.A. and Southern California has certainly kept things simple with its advertising, and these ads which embrace today's social media and texting age, stand out in their simplicity. 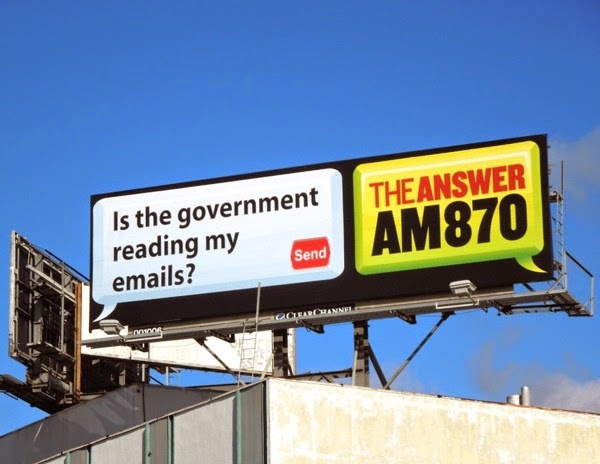 The ad creative with the topical headline 'Is the government reading my emails?' 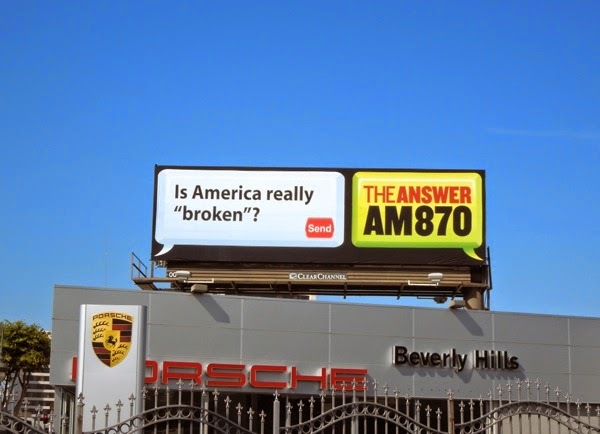 was snapped above Beverly Boulevard on March 31, whilst the 'Is America really "broken"?' version was spotted along Santa Monica Boulevard in West L.A. on April 3, 2014. If you like these ads, be sure to check out more eye-catching radio ad campaigns here at Daily Billboard.